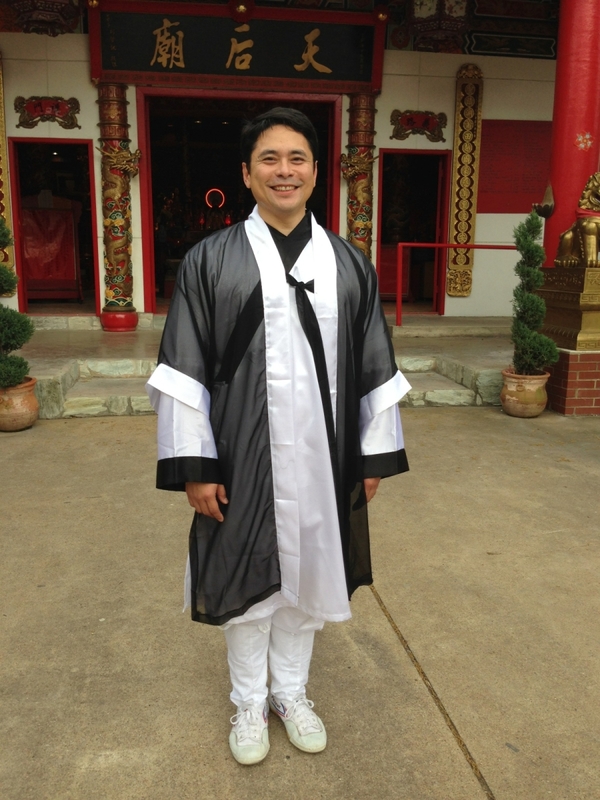 Master Blue Siytangco is a 12th Generation Lineage Holder for Chen Style Taijiquan and a 20th Generation Honorary Family Member of the Chen clan. He earned his title under the auspices of 19th Generation Master Cheng Jincai. But he also has the honor to claim 19th Generation Grandmaster Chen Zhenglei, 20th Generation Master Chen Huixian, and 20th Generation Master Chen Bing among his teachers. 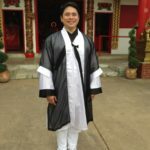 With almost 30 years of experience in various martial arts systems, Master Siytangco has been training and teaching authentic Chen Style Taijiquan for over 15 years in Houston, Texas. During this time he has distinguished his lineage and his instructors by winning national and international championships for forms and push hands. In 2002 he participated in the prestigious Jiaozuo International Taijiquan Exchange Competition in Henan, China, won his events, and was privileged to perform the Chen Style Taiji Spear in the Master’s Showcase. Master Siytangco’s students have also brought home many medals from various tournaments throughout the U.S. His daughter, Zoe Siytangco, is credited with winning three Grand Championships in a row. At the age of 13 she was one of the youngest Grand Champions in the country. This is a lineage that can be clearly traced to the founder of the system, 9th Generation Grandmaster Chen Wangting, and Master Siytangco maintains all the traditional teachings and principles associated with the style. However, Master Siytangco also keeps the material accessible and relevant to modern needs. His teaching is all at once practical and classical. Anna believes DANCE is a metaphor for life. She teaches women every day how to use the transforming power of movement to help them gain better health and build more self-confidence while providing them a way to express themselves in a profoundly beautiful way. These positive benefits often overflow into other areas of their lives. Once they learn to master their bodies, they learn to master their lives. When Anna was working in IT in Seattle Washington, one eventful day her job had an office party in a Greek Restaurant where she saw her first belly dancer…and she was blown away. She thought it was the coolest thing she had ever seen and she had to start lessons. Since that first class, she’s been obsessed. Belly dance is all she could think about. It is so much fun, a great escape from the stresses of daily life, and it made her happy. But the journey hasn’t been without its obstacles, Anna had to overcome depression, anxiety, and terrible stage fright in the process. Learning to move and challenge herself through dance has changed her life and now she is blessed to pay it forward and help others through the transformative process of personal growth through dance. Anna likes to binge watch Netflix, watch small animal videos on Facebook, and eat stuff she makes from scratch. – Over 13 years of performance experience from informal belly dance shows to professional theater productions…and everything in between. – Over 12 years of teaching dance and fitness at gyms, yoga and dance studios. – Since 2014, co-owner of her own studio – Oriental Phoenix Arts – with her husband, Blue. – National Academy of Sports Medicine (NASM) Certified Personal Trainer, ENW Certified Nutrition Specialist, and Certified MMA Conditioning Coach. – Proud teacher of many wonderful, dedicated students! Kelli began her path as a dancer at the age of five, studying ballet and performing as a soloist and in dance companies in professional productions in North Carolina. 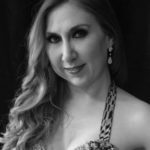 She moved from ballet to flamenco in college, and learned various styles of Latin dance in Colorado. 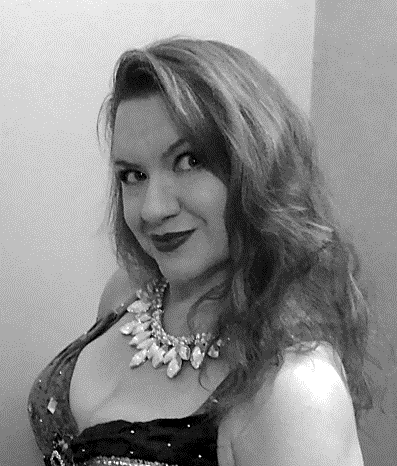 Under Anna’s tutelage, she developed a passion for Oriental dance, and is a member of the Ahlam Dance Company. Kelli has worked as a corporate trainer for 12+ years, teaching leadership and professional development skills. 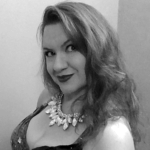 She is thrilled to combine her passion for teaching with her love of dance at Oriental Phoenix Arts.